Guess who is in town to race a bike? This is a good list of pro riders for 2015. Look deeply and you will see a deep field of riders that will be heavily involved on different stages of the tour. Mark Cavendish, Robert Gesink, Laurens Ten Dam, Mark Renshaw, Peter Sagan, Matthew Busche, Alex Howes, Martin Velitz, Marcel Kittel, Robin Carpenter, Eric Marcotte, Lawson Craddock, Sep Vanmarcke, Michael Schär, Jasper Stuyven, Danny Van Poppel, Lachlan Morton, Kiel Reijnen, Danny Summerhill, James Oram, Bernie Eisel, Ben King and Ted King. With best hair award to Daniel Oss. What a list! 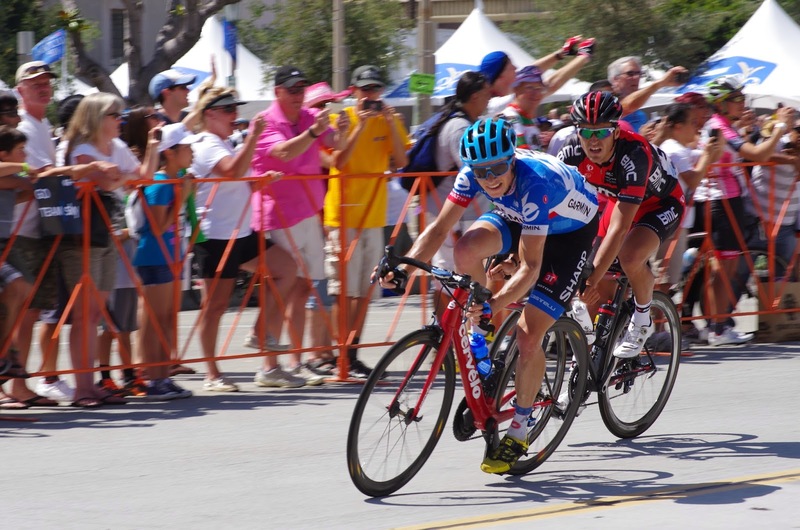 Update: Marcel Kittel will not be racing in California in 2015, nor will Bernie Eisel. But Cav will be! 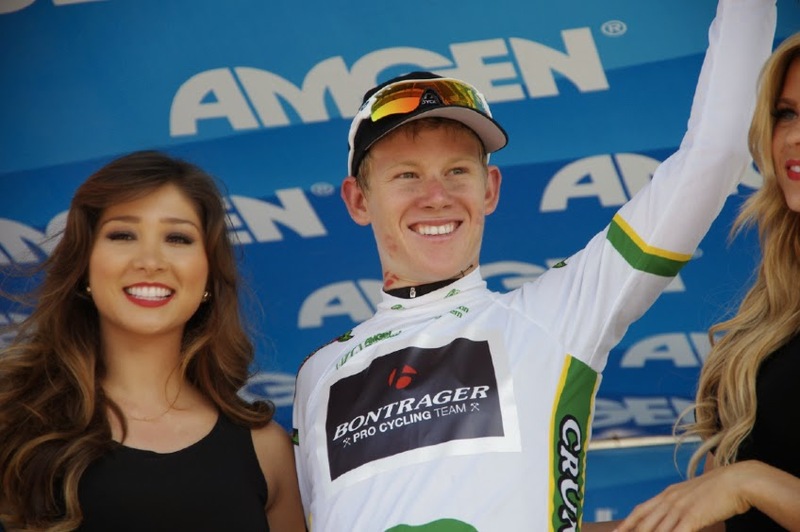 Check out the complete roster of riders announced today: Roster of Mens Teams and Riders for the 2015 Tour of California OR the reliable list from Pro Cycling Stats, an excellent website. 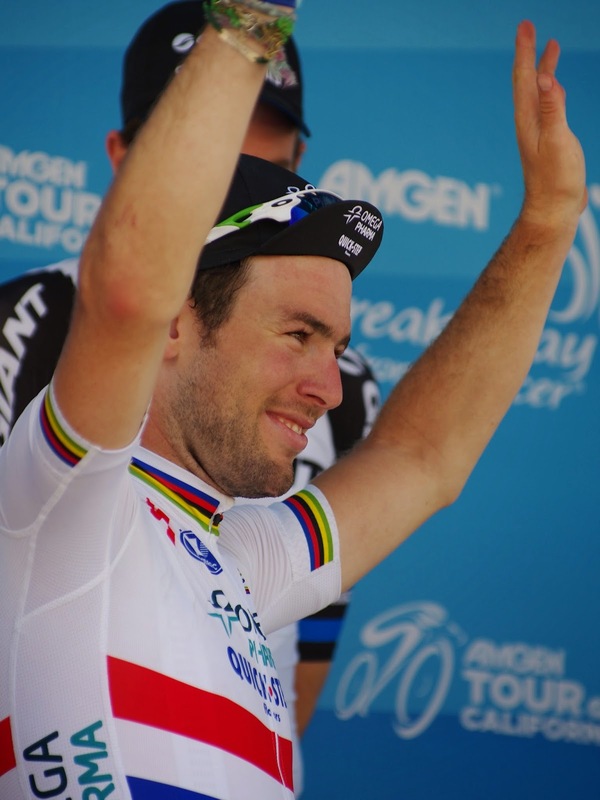 Read the official Press Release by ATOC: Star-Studded Peloton to Feature Cavendish, Farrar, Gesink, Kittel and Sagan which categorizes the best bets for overall GC winner, sprinters, climbers and time trial specialists. 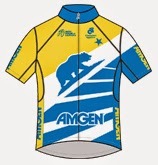 Who will wear this jersey in 2015? 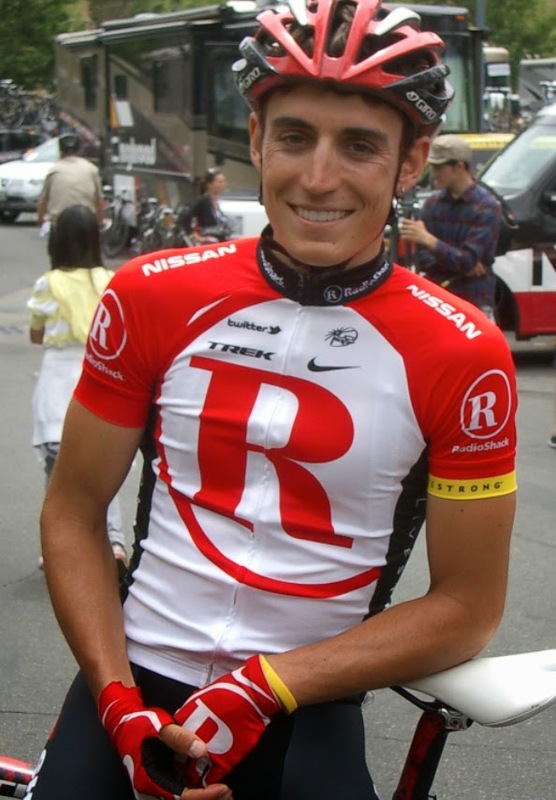 This will be year 10 for the Tour of California. Here is a photo collection of some of the riders who will be at the race this year; looking back at the race over the years. 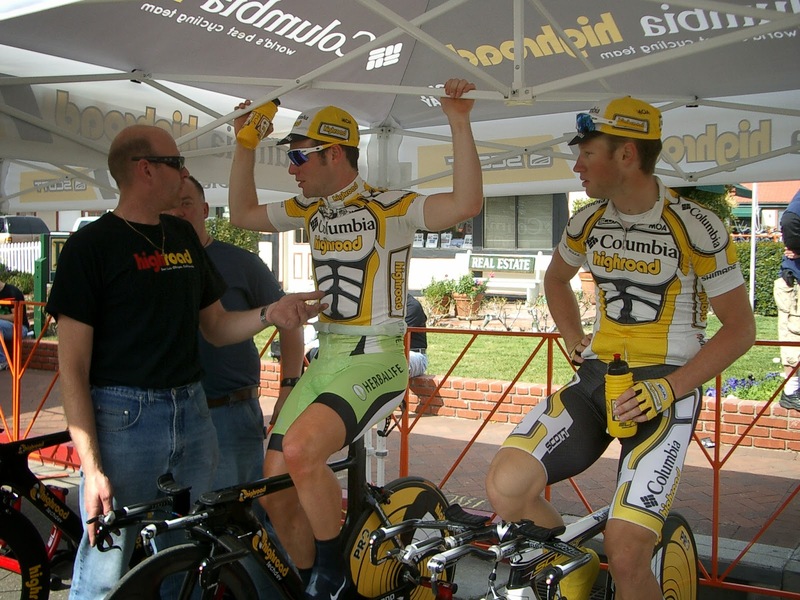 Throwback -- Mark Cavendish with Mark Renshaw at the 2009 Tour of California. 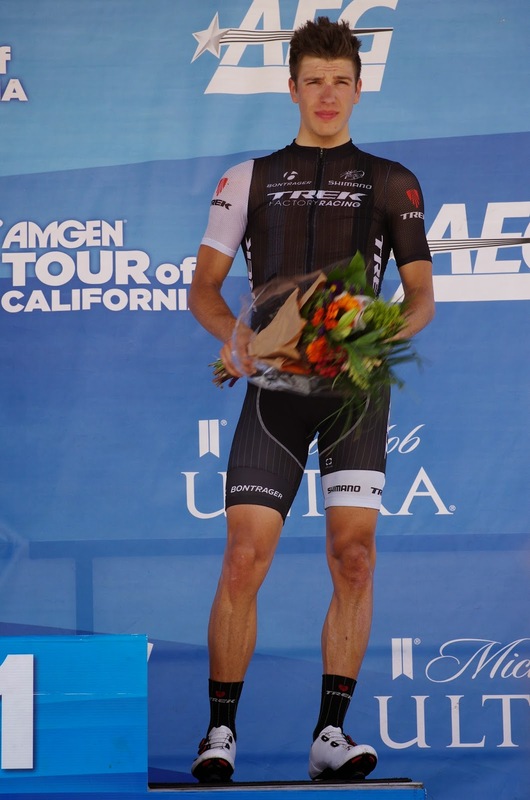 The last time I saw Marcel Kittel at the Tour of California was in 2012, he went on to become a really big deal. Update: Marcel Kittel will not be racing in California in 2015! But I'll keep his photo here in case he comes back in 2016. . 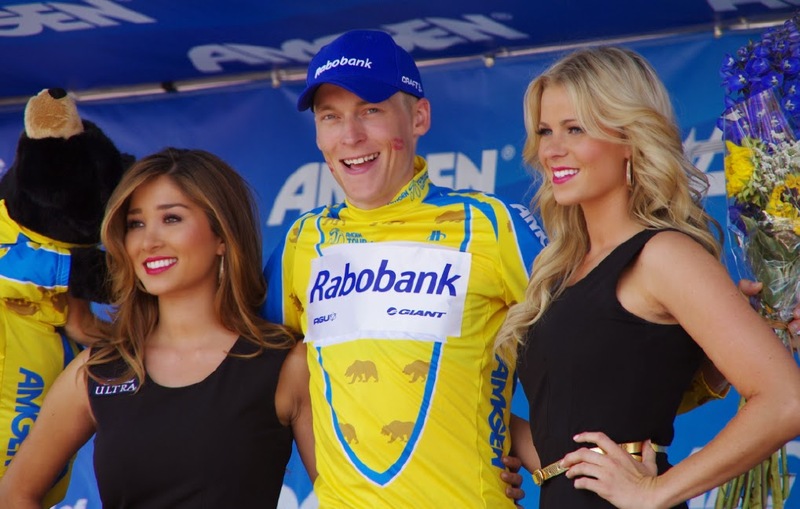 Remember when Robert Gesink won the 2012 Tour of California? 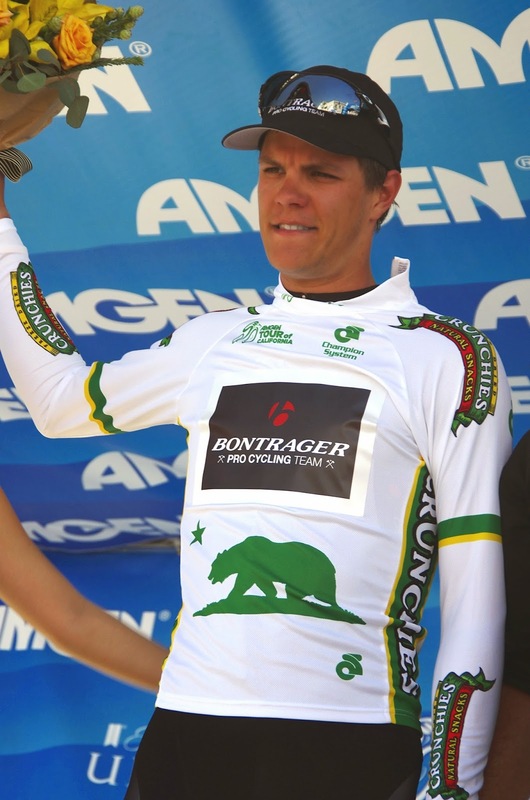 Matthew Busche at the 2010 Tour of California. These are the legs of Alex Howes at the ATOC ITT in 2012. 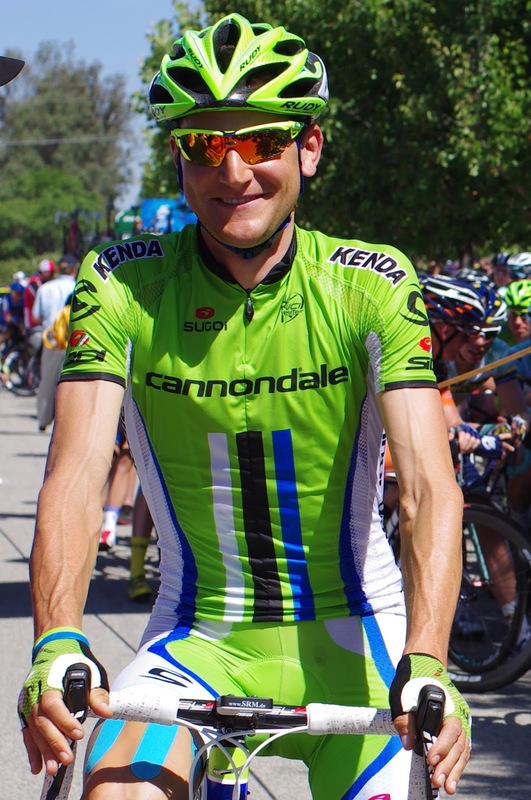 Danny Von Popple at the 2014 Tour of California. 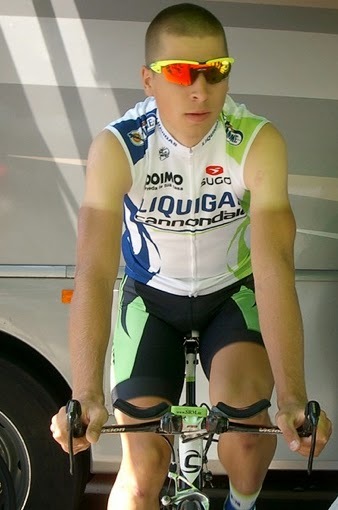 A young Peter Sagan at the 2011 Tour of California. He also went on to become a really big deal. 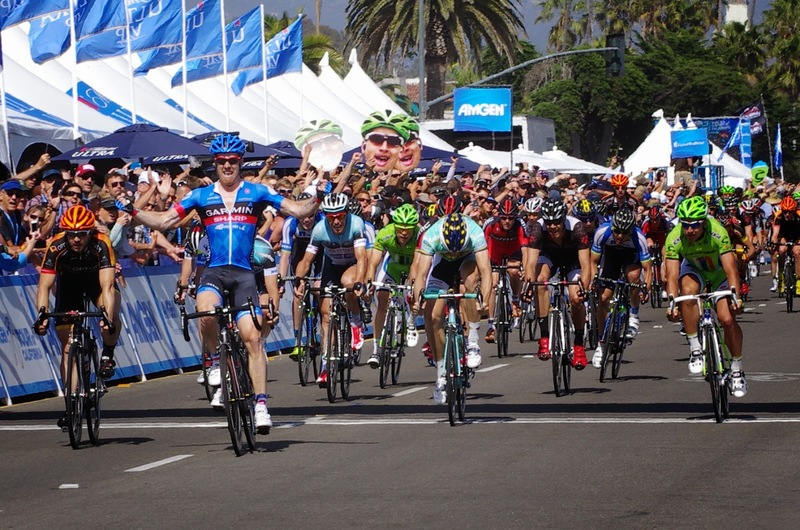 And Tyler Farrar wins the sprint into Santa Barbara in 2013. 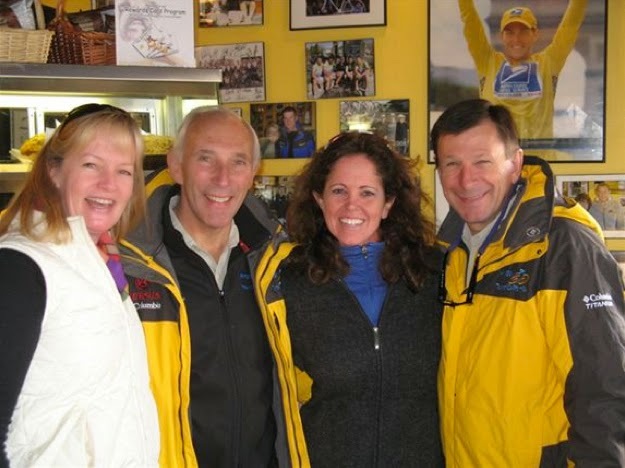 Talk about 10-years of attending this great race in California... here I am with my sister-in-law Suz, with Phil Liggett and Paul Sherwen in Solvang in 2009! Suz, Phil, Karen, and Paul at the Bulldog Cafe in Solvang. An old favorite hang.